Child development charity Compassion UK has raised over £150,000 through its Muskathlon challenge in June 2018, more than doubling its 2017 total of almost £70,000. 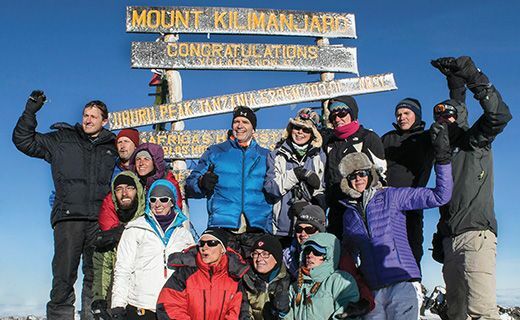 56 people from across the UK took part in the week-long adventure challenge in Kenya, East Africa in June 2018. Participants battled 40 degree heat and rough, uneven terrain as they each completed a running, cycling or walking endurance challenge. 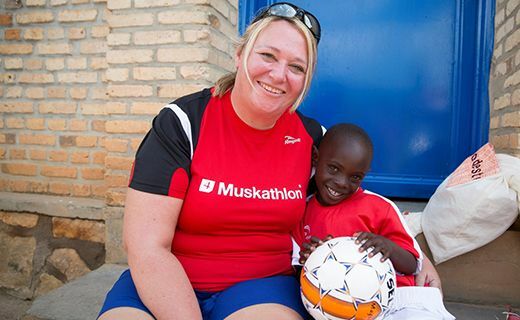 The Muskathlon is hosted by 4M UK and Compassion UK and aims to encourage participants to find sponsors for children or raise funds to support local initiatives such as building classrooms and toilets. Participants choose from a half, full or ultra-marathon, 120km cycle or 42km or 63km walk through the communities for which they are fundraising. Funds raised from the 2018 Muskathlon will provide 1500 solar lights to Kenyan households, giving a safe, reliable and environmentally-sustainable way to light their homes. In addition, they will enable 49 Kenyan students to access further education, by providing scholarships for secondary and post-secondary education. As part of the event, participants visited projects which are supported by Compassion and met the people whose lives it is impacting. This child sponsorship of £25 a month is giving Boaz the chance to have a different future. Luke’s support will enable him to be part of his local Compassion project where he will receive nutritious meals, emotional support, medical attention and the chance to get a good quality education. The 2019 Compassion UK Muskathlon is taking place in Rwanda in East Africa next June, with money being raised to help children living in poverty there.